In the 1950’s, Vilma penned a vivid account of her single life as she blossomed into womanhood. 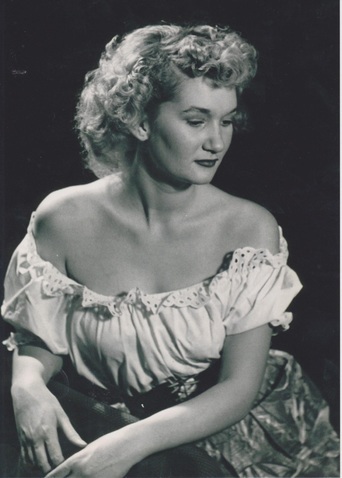 She worked and played in the glitz and glamour of Old Hollywood and Downtown Los Angeles. As a "Camera Girl" on staff at some of the main tourist attractions of the time such as Clifton’s Cafeteria, The Paris Inn, China Town and The Pike (in Long Beach), she made her living strolling through the crowds with her camera offering a souvenir photo for a keepsake of the exciting nightlife. As an attractive young woman herself there was certainly no shortage of men to meet, which resulted in a most extraordinary dating life! Yet, Vilma’s innermost desire was simply to find a good man that would respect her traditional Catholic beliefs and be the love of her life. Through her diaries, she recounts the trials of her dating life and her efforts to live out her convictions. She was determined to give the gift of her virginity only to the man worthy enough to become her husband, however there was a continuous physical, and yes, a spiritual battle raging for her purity. Would she succumb to her temptations or be victorious in her faith and wait for marriage? Come away with me for a little while as we take this unique journey back in time. We’ll re-discover a decade filled with unbridled optimism, travel back to the Golden Age of Hollywood and see the dawn of Rock n’ Roll. We'll remember a time when elegant attire was in vogue and ride along in the best American-made cars as they proudly cruise through the streets of a young Southern California. Each day as she takes her pen in hand, we’ll discover the life, temptations and enduring faith of a young Catholic girl coming of age in 1950's America. It is here in her little hometown of El Monte, California that you'll meet a girl named Vilma. See our latest article in The Los Angeles Magazine! 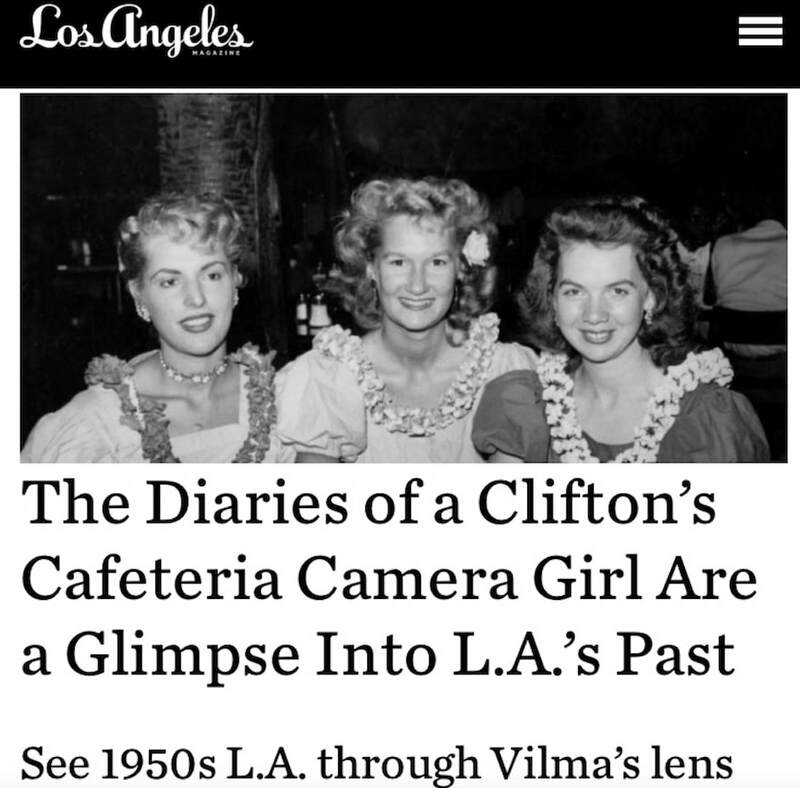 Click this link: The Secret Life of a Camera Girl in 1950's L.A.
Vilma, the sassy Camera Girl of the Historic Clifton's Cafeteria!